We know the sun protection habits we should adopt to keep our bodies safe from the sun: put on sunscreen before we go outdoors, seek shade whenever possible, and wear clothing that covers exposed skin and sunglasses that protect our eyes. 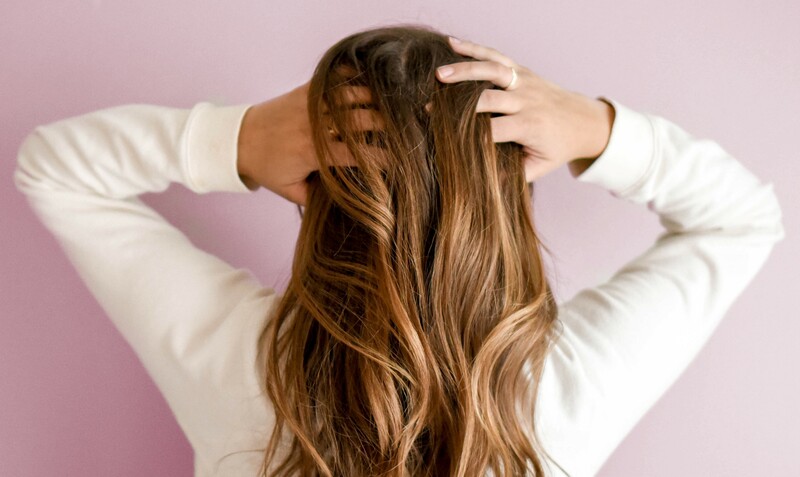 But while we're busy saving our skin from the harmful effects of the sun's UV rays, we might be forgetting another part of our bodies that needs sun protection: the scalp. Sunscreens and SPF (sun protection factor) moisturisers have come a long way from the thick and greasy formulas of the past. Now that there are a range of non-greasy products that sit well under makeup - making them ideal for everyday use, especially on the face - we are getting better at making sunscreen application a part of our daily routine and protecting ourselves from sun damage, signs of ageing, and skin cancer. But we can't easily apply sunscreen to our scalp every day. Yet, the skin that covers our heads is no different to the skin on other parts of our bodies. If we fail to protect it from the sun, it will burn. This can lead to red, itchy and flaky skin in the first instance, and can later develop into skin cancer. Research shows that melanomas on the scalp are more lethal than other melanomas because they have a greater chance of spreading to the brain. So how should we protect our scalps from sunburn? Firstly, it's important to note that we can't get skin cancer in our hair. There are hair care products available that protect hair from the sun, but these are used to prevent hair from drying out and to stop colour fade. These products won't help protect the scalp from sunburn or skin cancer. The most effective option is wearing a hat. It is recommended that we wear a broad-brimmed hat that covers our heads, ears and back of the neck, and provides as much shade over the face as possible. Sun-safe hats are made of a thick weave with no gaps for the sun to penetrate. Another approach is using an SPF loose powder in our hair. It can be applied down the part and worked in similar to a dry shampoo (although remember to target the scalp, not the hair). This acts like a sunscreen on our skin, but without the oily residue left by actual sunscreen. Switching up the hair part is also an effective way to prevent repeated sun exposure to one part of the scalp, which increases the chance of developing skin cancer in that area. Wearing our hair in a different way each day can help ensure the same spot isn't susceptible to sun damage day after day. But what if we're spending a day at the beach? It's difficult to wear a hat in the water, and powder SPF products would just wash away. While swimming, it's a good idea to swipe a waterproof, non-greasy slick of sunscreen down the hair part for good measure, and remember to re-apply every few hours. Skin cancers that do develop on the scalp are notoriously difficult to detect because they are so hard to see. We should get a professional skin check at least once a year by an experienced doctor who has adequate equipment to check the scalp. At National Skin Cancer Centres, our doctors are experienced with scalp skin cancers and use high resolution dermoscopy to find very early skin cancers on the head.